Cool winter days are always made better by a warm bowl of soup. 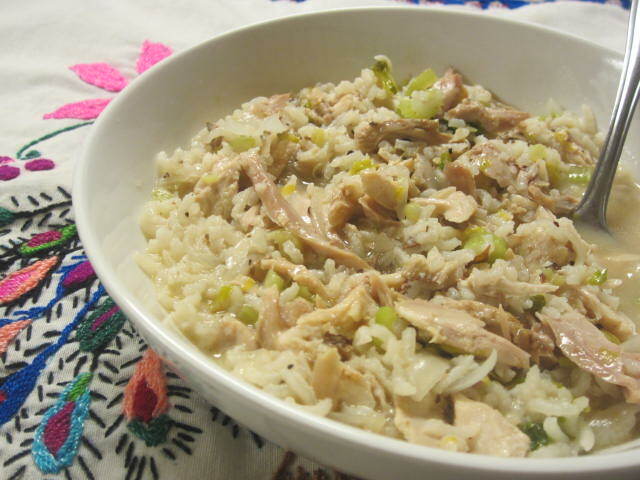 This simple chicken and rice soup is nourishing and filling. When paired with a slice of homemade bread slathered with grass fed butter it hits the spot. One of the best things about this soup is that it takes only minutes to make and is done cooking in 45 minutes or less! 3. Once the rice is almost cooked, add the chicken and butter. Cook until rice is tender and the chicken is heated through.